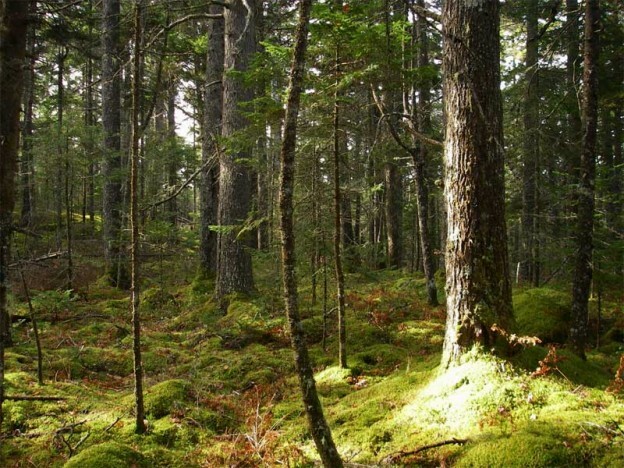 Does Forestry in Nova Scotia Have a Future? The letter below is from Geoffrey May, who is Elizabeth’s brother, provides the best summary I have seen to date on the sad state of our forest industry and the industry regulators. Please help to spread the word. I have certain sympathy for your government’s inability to deliver decent forest policy. The problem stems from decades of UNB/Irving forestry school, which has trained most provincial foresters, and most forestry professionals in private and public service. These professional foresters know next to nothing about forest ecology, and have no understanding for forest structure or function. This anti-science, anti-nature forest management that has been pushed by UNB and the Irvings has resulted in reduced forest employment, reduced forest value, and destruction of non-commercial forest products. Forests are not landscape constants, but result from ecological variables. Our temperate forests hold as much biological diversity as the great rain forests, the big difference between tropical rain forests and temperate forests, is that tropical forests have most of their biodiversity above the ground, where as our forest has most of its biodiversity in soil microorganisms. It is in the below ground web of life that nutrients are fixed for use, that the trees of the forest are in communication. These subterranean communities are essential for forest health, yet they are destroyed utterly by the equipment used to harvest forests, rutting and compaction from equipment is a major challenge for ecosystems. Our forest harvest is conducted by large mechanized equipment, which can only be profitably employed, by conducting large contiguous clear-cuts. However, if we managed our forests to preserve ecosystem function and maximize employment, we would ban clear-cut logging and the equipment that demands it. The current system benefits Irvings and other corporate forest destruction because reducing employment is one way to control supply costs. The current system leaves forest contractors 100% dependent on good relations with the mills who control the crown leases. Contractors needing to meet huge payments aren’t going to concern themselves with the damage they do to meet those payments, and DNR has no employees who can recognize it either. Clear-cutting is based on the concept of forest rotation. Forest rotation is an idea that has no basis in ecology, and exists in direct opposition to what the science shows us. What science says is that forests do not rotate, they precede through successional changes to stable state, climax, or “Old Growth”, which contains all other successional stages within it. 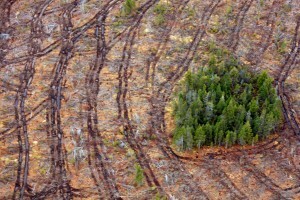 Clear-cutting represents a unique ecological challenge in that no other disaster removes the entire above ground forest structure for processing off site. In addition to compacting and rutting of forest soils, clear-cutting exposes forest soils to direct sunlight, wind, and rain, which increases the loss of nutrients from clear-cut areas. In the forest, large woody material is converted by insects, fungi and bacteria into complex forest soils (one way that nature sequesters carbon). In a clear-cut, large woody material is desiccated, it dries out, is not home to a complex community, and the carbon is released back into the atmosphere. Forest seedlings never form natural root systems and therefore never fully enter into the forest community. In addition to being expensive, plantations are not forests; they are brittle ecosystems, prone to insect attack, vulnerable to wind. The seedlings will require nitrogen, nitrogen is present in the soil, but needs to be “fixed” into a useable form for trees to use. In our forests the bacteria that fixes nitrogen is closely associated with pioneer hardwoods. Pioneer hardwoods serve many useful functions in attempting to reclaim the forest. They protect seedlings from excessive sunlight, wind, rain, and snow. Pioneer hardwoods help stabilize the soils, the water table, and create micro-climates that buffer extremes of heat and cold benefitting seedlings. They do not compete for nutrients or water (as the UNB/Irving School claims). Herbiciding these hardwoods does not help softwood seedlings, and there is no science that supports the theory that removing the pioneer hardwoods brings the seedlings to maturity any sooner. In fact, there is science showing that the yields from plantations rarely reach the levels from the harvest of the natural forest they replace, and none to support the forestry models that plantations can double the fibre productivity that is used to justify excessive logging. Recent science, which I sent you this past winter, showed that in Europe the conversion of mixed wood forests to conifer plantations is a driver of global warming. The carbon stored did not offset the reduced albedo effect. Clear-cut logging is, of course, another driver of global warming. 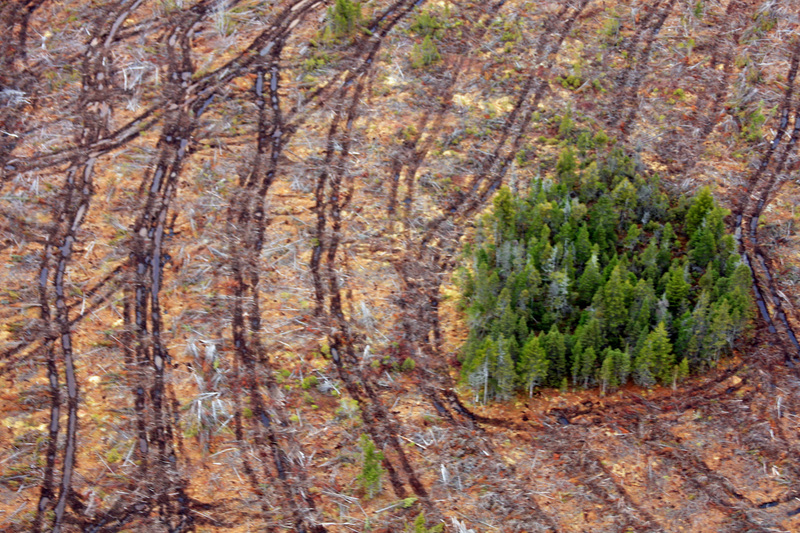 Land use changes, like clearcutting, account for 20%-30% of CO2 emissions. This was recognized by science over 25 years ago, yet we continue to harvest our forest as if climate change wasn’t happening. All our environment and economic policies in Nova Scotia appear caught in a time warp, a vacuum. The current Herbicide spray program is based on the assumption that there will be a market for wood pulp in 60 years. It should be obvious that there won’t be. The Alton Gas project similarly assumes continued demand for, and supply of natural gas and there won’t be, unless mountains of science on climate change are all dead wrong. Regarding Herbicides, years ago Japanese doctors were puzzled as to why patients who had deliberately ingested Round-up herbicide died. According to MDS they shouldn’t have died. They discovered that the surfactant used was 400 times as toxic as glyphosate, and that it was the polyoxyethyleneamine that allowed glyphosate to penetrate the cell wall. In registering Roundup, only the toxicity of glyphosate is considered. We either change course and embrace a low carbon economy or there won’t be any economy at all in 60 years. Where does oxygen come from in a world at 6C Anthropogenic Global Warming? If there is a future for Nova Scotia, it lies in accepting the reality of our situation. Forest policy should maximize employment in the forest while maximizing carbon storage. Selection logging is less energy intensive and can be conducted with a minimum of ecological impact and can increase forest stocking while increasing forest production, and there isn’t a single DNR employee working on developing selection logging appropriate for Nova Scotia. We either embrace the future or we lose it, and right now, we are throwing the future away, and your policies are accelerating the pointless destruction of our future. Why not make your mark? Actually make a difference in this world and do the right thing? Why not try? 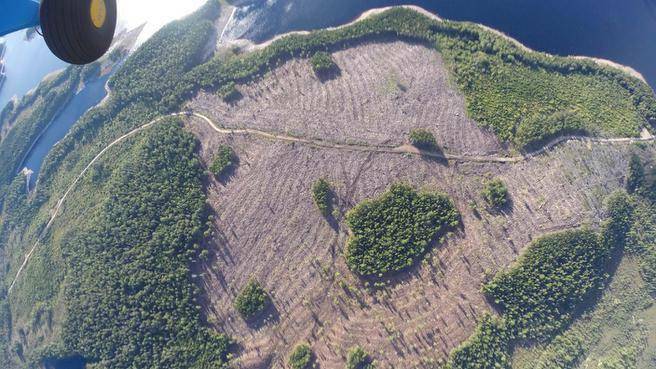 This entry was posted in Clear Cutting, Department of Natural Resources, Nova Scotia, Sustainable Harvesting and tagged Crown Forests, Herbicide, Nova Scotia Forestry on September 29, 2016 by Friends of Nature.